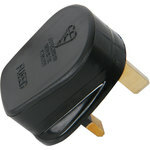 Mains plugs fused at 13A & 5A and approved to BS1363. 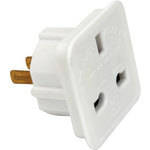 Mains adaptor to allow devices fitted with UK mains plugs to be used in Australian or USA sockets. 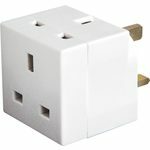 Note: this is purely a socket adaptor - you must ensure your device is suitable for the local voltage. 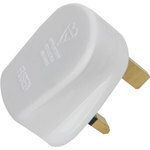 Current rating - 10A max. 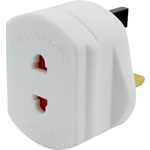 2-way adaptor allowing 2 devices to be powered from a single UK mains socket. 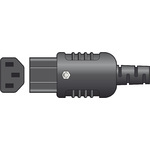 A rewireable in-line 3-pin IEC plug connector. 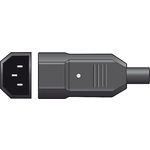 For cable up to 8mm. 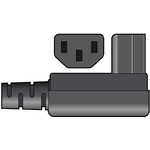 A right angle 3-pin IEC Plug. 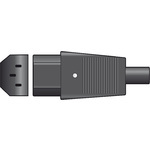 For cable up to 8mm.